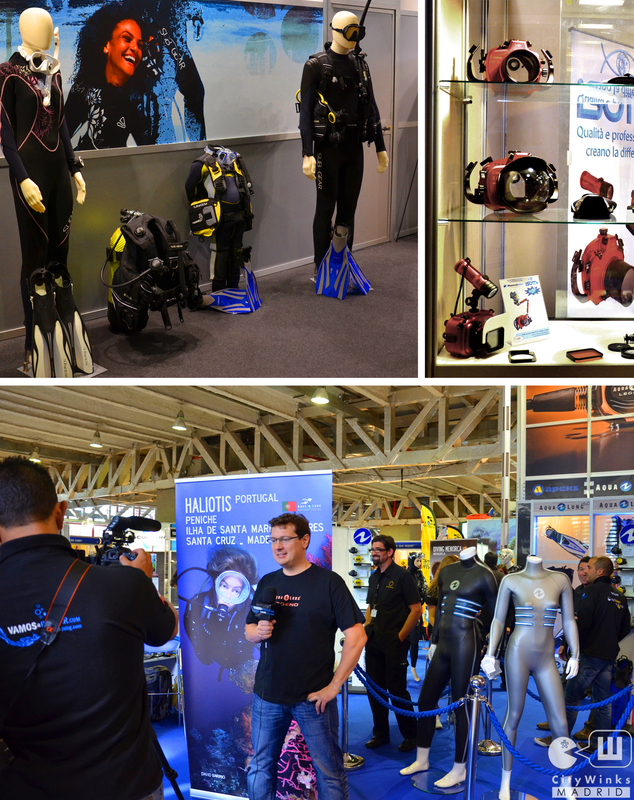 Este fin de semana como ya os anunciamos, se celebró el Dive Travel Show 2012 y nos dimos una vuelta para ver cómo era la experiencia de una feria sobre el fascinante mundo del submarinismo. Aunque se lleva celebrando desde hace 4 años en Madrid, es la primera vez que la visitamos. Entre las propuestas nos llamó especialmente la atención la posibilidad de realizar múltiples actividades de navegación en nuestros pantanos e incluso aprender a bucear desde Madrid. Como véis en esta ciudad todo es posible, incluso dormir una noche con tiburones… actividad que propone el Zoo de Madrid para niños. 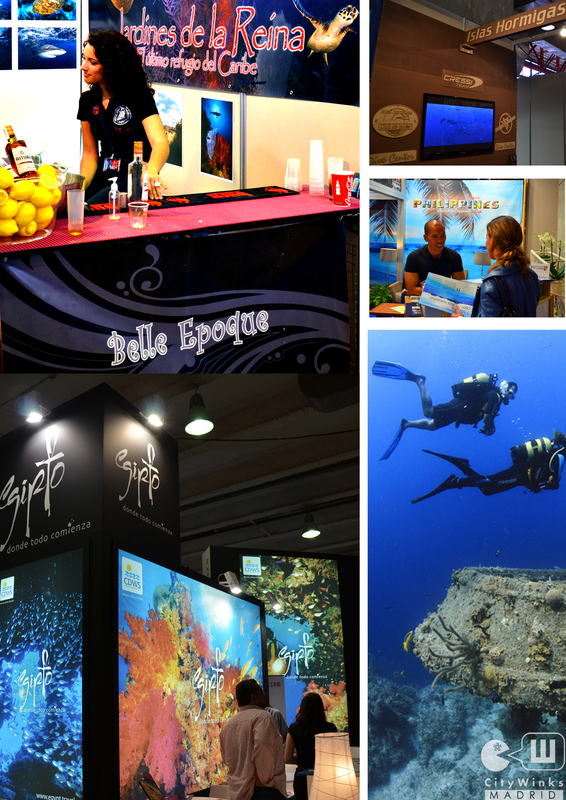 This weekend, as we already announced, the Dive Travel Show 2012 took place in Madrid. We visited this exhibition about the fascinating world of diving. Although it has been held for 4 years in Madrid, it is the first time we go. There really is a huge amount of interesting activities in the seas of our Spanish coasts, as well as more exotic destinations. If you are curious, surf through the event website and it will surprise you. 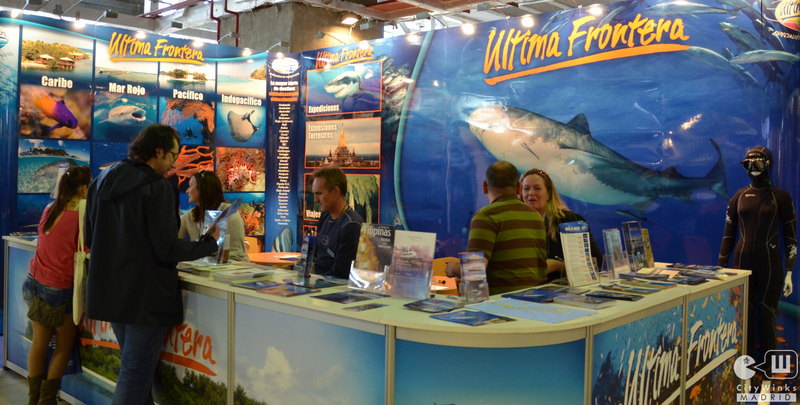 The mix of exhibitors where you can find everything from travel companies, supply stores, tourist offices is absolutely great. Among the proposals we were attracted by the possibility of performing multiple sailing activities in our dams and even learn to dive in Madrid! As you can see in this city everything is possible, even sleeping one night with sharks as an activity organized for children by the Madrid Zoo.